WCM Vancouver, AWF & CFA Present: What is Driving Change in Board Diversity? What is Driving Change in Board Diversity? Join the Association of Women in Finance (AWF), CFA Society Vancouver, WCM Vancouver and our distinguished panelists for an informative event and thought-provoking discussion on how Canada's corporate boards contemplate diversity. 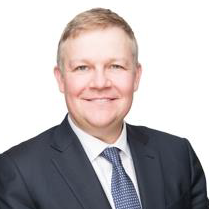 President and Chief Executive Officer of Finning International Inc.
Born and raised in BC’s Okanagan Valley, Scott Thomson’s professional career began in the world of finance, with roles in investment banking for both the Royal Bank of Canada and Goldman Sachs, later leading strategy and mergers & acquisitions for Bell Canada Enterprises as an Executive Vice President. Prior to joining Finning, Scott was the CFO of Calgary’s Talisman Energy, where he developed a passion for building high performance teams. In 2013, it was a natural fit for Scott to bring his experience back home to join Finning as President and Chief Executive Officer and lend his expertise to an institutional, BC-based brand. In the last five years, Scott has worked with his leadership team to implement best practices and processes that have resulted in improved safety, increased customer loyalty, a stronger financial position and improved employee culture. Scott has a passion for fostering an inclusive and diverse workforce, and drives the company’s growing commitment to science, technology, engineering and math education. He currently serves as a director of the Bank of Nova Scotia and was formerly on the board of Interfor. Scott holds a Bachelor of Arts in Economics and Political Science from Queen’s University and a Master of Business Administration from the University of Chicago. He currently lives in West Vancouver with his wife and is a proud father to two extremely busy young children. Paul Leroux is an independent consultant based in Calgary, Alberta, specializing in diversity and inclusion advocacy, program development and training. 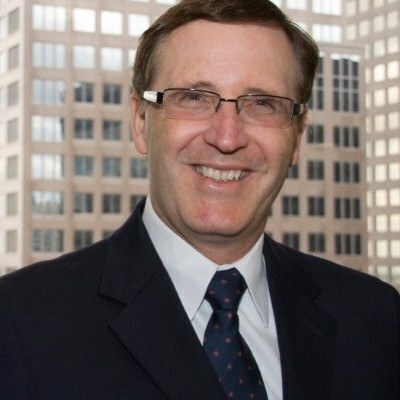 As Catalyst Ambassador for Western Canada, Mr. Leroux speaks regularly with the corporate community on all matters related to building and fostering inclusive workplaces, engaging men in gender equality, and transforming behaviours and cultures. Over the course of his career Mr. Leroux has been involved in the specification, design, development, and operation of complex information technology, telecommunication, training, and defence technology solutions for large and small companies. Throughout his time leading teams Mr. Leroux has been passionately committed to the recognition of diversity and the values of inclusion. Mr. Leroux has an earth science background in physical oceanography with advanced degrees in mechanical engineering and electrical engineering (computer science and artificial intelligence). Corporate Director at Methanex Corporation, TimberWest Forest Corp., Pembina Pipeline Corp.
Maureen has extensive experience in the capital markets sector, with a career that spanned corporate finance, portfolio management, equity research, and investment banking. She sits on a number of Boards including TimberWest Forest Corp. where she Chairs the Audit Committee, Methanex Corporation, and Pembina Pipeline Corp. Maureen is the Chairperson of the Phillips, Hager & North Centre for Financial Research at the University of British Columbia (UBC) Sauder School of Business and is a member of the Canadian Securities Institute Foundation Board. Other organizations where Dr. Howe has served as a Board Member include, most recently, the Insurance Corporation of British Columbia where she Chaired the Investment Committee, as well as Veresen Inc. where she Chaired the Governance Committee, the UBC Board of Governors where she Chaired the Finance Committee, the YWCA, the HealthCare Benefits Trust, the Financial Institutions Commission of British Columbia, the BC Credit Deposit Insurance Corporation, the UBC Sauder School of Business Dean’s Advisory Board and the UBC Investment Management Trust. Maureen holds a Ph.D. in Finance from the University of British Columbia. Melanie is a partner in the Securities and Capital Markets Group of Borden Ladner Gervais LLP. Melanie focuses her legal practice on advising public issuers and underwriters in a variety of sectors, including in the area of mining and mineral exploration. She provides advice on corporate financing transactions; mergers, acquisitions, takeover bids and reorganizations; and mining joint ventures. Melanie also regularly advises issuers with respect to public offerings and private placements, particularly issuers whose securities are listed in more than one country. In addition, Melanie provides commercial and regulatory advice in the financial services sector. Melanie graduated from the Faculty of Law at UBC in 2003 and from the Faculty of Fine Arts at the University of Illinois in 1996. She was called to the British Columbia bar in 2004. 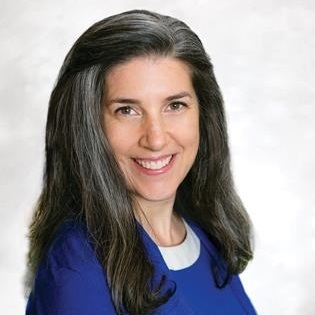 Melanie is an Adjunct Professor (Close Corporations) for the UBC Faculty of law, a member and gender Diversity Officer for the Law Society of BC’s Justicia Project and a member of the Canadian Bar Association, Securities Law subsection. Melanie has been a Director for the Association of Women in Finance since 2014.